Welcome our valued 26 players, time to check out a new and great place to play poker, it all starts tomorrow night, gift certificate and Top 10 standings on the line, 5,000 bounty on both Lee & Carol, can’t wait to see you all at this beautiful new place to play poker! Spring 13 Week Tournament Starts Tomorrow Night! We are totally ready for our first fun but challenging night of poker at the legendary Armand’s By The Sea. Tomorrow night we will be Game # 1 for this new spring session, it will be an exciting game no doubt, can’t wait to shuffle up and deal. Armand’s will no doubt prove to be a challenging yet fun place to play poker, great atmosphere, awesome food and drink specials, the best in friendly but quality players, see you on the felt! 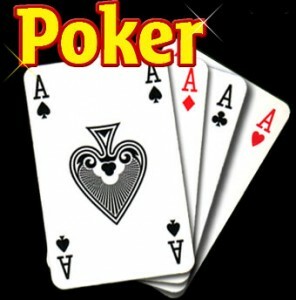 OK so who will be the winner of our first exciting night of poker at Armand’s. This will be a challenging but fun tournament, with great play expected from all of our wonderful players. Can’t wait to see you all on the felt. Good luck to everyone tomorrow night, but most of all it should be a great time for us all. Make sure you click in and see what happened last week throughout our league, as well as what is about to take place in the weeks ahead. We love to read your comments and suggestions about our league. Thanks so much for staying connected, and good luck at the games, see you out there! Come early, enjoy all of the great poker specials @ 20% off food menu. Armand’s deep dish pizza items are fresh made daily, a complete menu available, specialty pizzas and subs, create your owns pizza with 25 toppings, awesome pasta dishes, wine and beer available. All players who order any food at Armand’s By The Sea will receive 1000 chips tomorrow night. 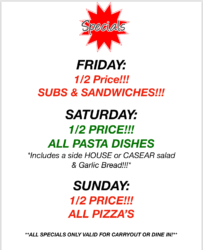 All players who patronize Armand’s By The Sea on nights other than Friday Night Poker and then order food items on those nights will receive an extra 1000 Chip for Poker Specials Food Orders. All players who sign in prior to 6:30 p.m. will receive an extra $500 Chip. 1st Place Gets Armand’s Gift Certificate. Every 13 weeks A Free Seat At A Dover Downs Poker Tournament Plus An Overnight Stay There Will Be Awarded At Armand’s By The Sea.